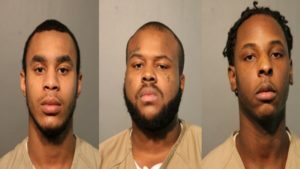 Anthony Harris, Anthony Lyons, and Joshua Almore are charged with one count of First Degree Murder and six counts of Attempted First Degree Murder in connection to a multiple-victim shooting incident which occurred on July 25, 2014 at approximately 6:00 p.m., in which the offenders opened fire upon a group of people on the 700 block of S. California. A total of 7 males sustained gunshot wounds including a 13-year-old male victim who succumbed to his injuries. The other victims ranged in age from 13 to 25. No Further information is available at this time. 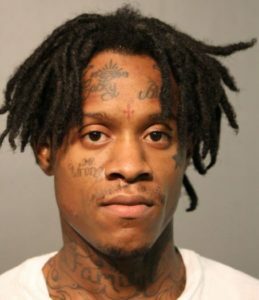 Desmond Henry was arrested and charged after officers attempted to make an investigatory stop on his vehicle on September 29, 2015 at approximately 5:15 p.m. in the area of Polk Street and California Avenue. Henry led police on a pursuit to the 200 block of N. Central Avenue where he fled on foot and was later apprehended and charged accordingly. No injuries were reported during the incident. No further details are available at this time. 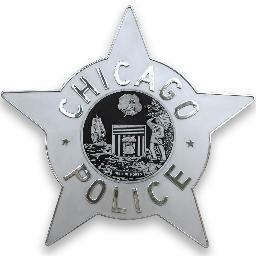 This alert gives notice to citizens residing in the 8th District (Chicago Lawn) of burglary incidents which have occurred during the month of September. In these incidents, offender(s) gain entry into a garage through a side window/door and take property from therein. 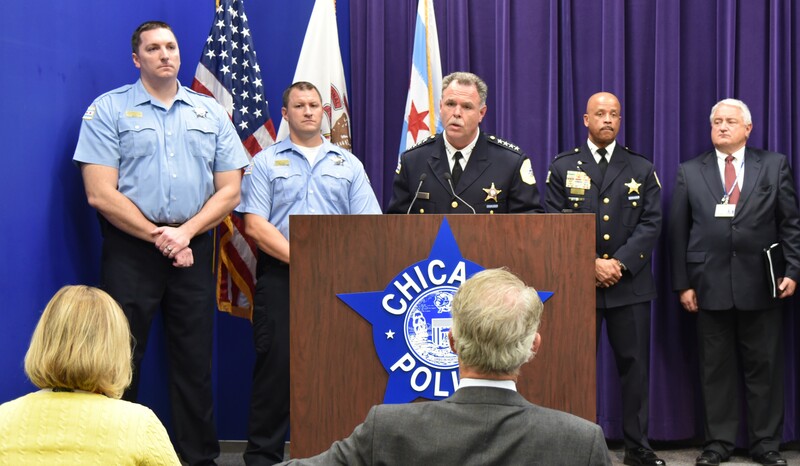 On September 29, 2015 at 6:30 am, a 15-year-old female victim was walking northbound on the 10900 block of S. Michigan Avenue when the offender drove past her, pulled over, parked and exited his vehicle. Next, the offender grabbed the victim and attempted to force her into his vehicle. 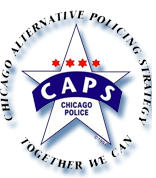 The victim was able to break free from the offender at which time the offender fled in his vehicle northbound on Michigan Avenue. A split second decision that Superintendent McCarthy thinks may have saved the life of an eleven month old child. A Sergeant, 965,called in “loud reports” in the area near 53rd and Aberdeen. Many 009th District and city-wide units responded to the scene. What 965B saw when they arrived at the location was a woman running up to them holding a child wrapped in a blanket. The blanket was blood stained and the child was screaming. The Officers noticed that the child was wounded and realized that they had mere seconds to decide what they were going to do because there were no ambulances on scene. They did not hesitate…965B responded instinctively, one partner the driver, one partner carrying the wounded innocent child in the back seat, while he applied pressure to the wound, accompanied by the victim’s aunt. In the next few seconds the driver called in “Emergency 965B…we have the child (that is) shot in my car…see if the firehouse at 43rd and Ashland has an ambulance right now.” Within seconds the dispatcher notified 965B that there was no “ambo” in that firehouse at the moment. Within minutes, the officers made it to Stroger Hospital with the young victim. 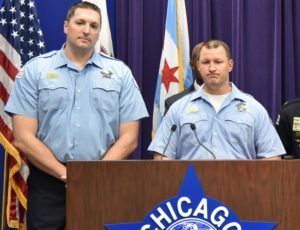 This alert gives notice to residents of the Morgan Park (22nd) District of four recent garage burglary incidents that occurred in the Morgan Park neighborhood in the month of September. In most of these incidents, an unknown offender makes entry into garages by entering through an unlocked door, or forcibly through a side or overhead door. Taken from the garages are primarily garden tools. This alert gives notice to businesses in the Morgan Park (22nd) District of two recent armed robbery incidents that occurred in the Morgan Park neighborhood. In these incidents, offenders ordered a pizza to be delivered to the 10700 block of South Loomis St. Delivery drivers were confronted by a group of five (5) males and one (1) female. One offender, armed with a 2×4 wood board, threatened the drivers and his accomplices took the pizzas, money, and phone from the drivers. This alert gives notice to citizens residing in the 008th District (Chicago Lawn) of theft incidents during the month of September. In these incidents, offender(s) force open the doors of postal vehicles that are parked and remove packages/mail from the unattended vehicles.